I'm finally getting my round tuit. Pulled the trans cover off this afternoon. Then I spent a few hours cleaning everything up. 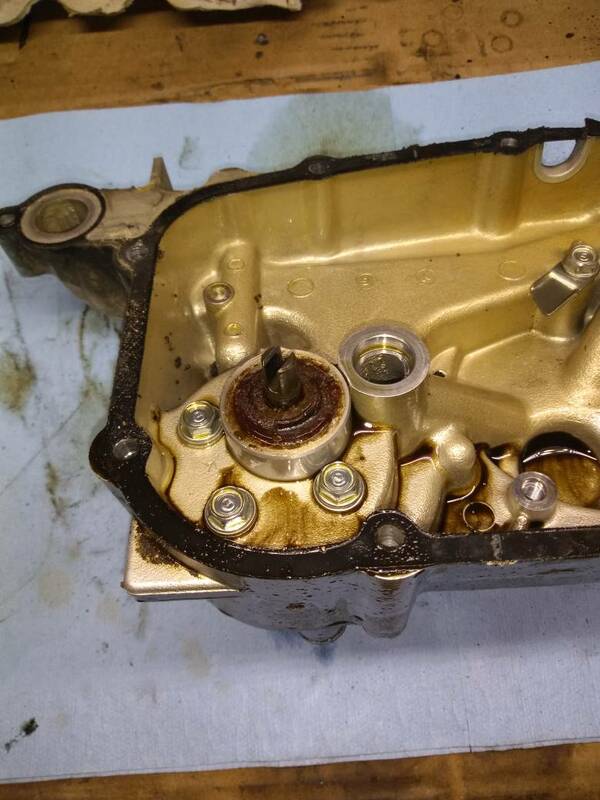 The old water pump was definitely the source of a squeak that I thought was maybe a timing belt tensioner. It was pretty grungy in the well hole area. Hopefully I can get it all back together tomorrow. 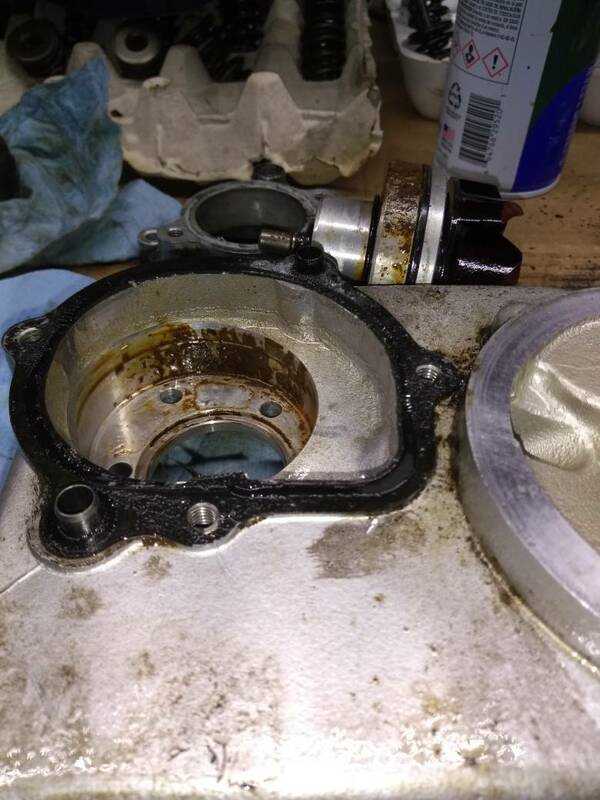 I should mention that on my bike (84 GL1200A) I had no need to remove the radiator. 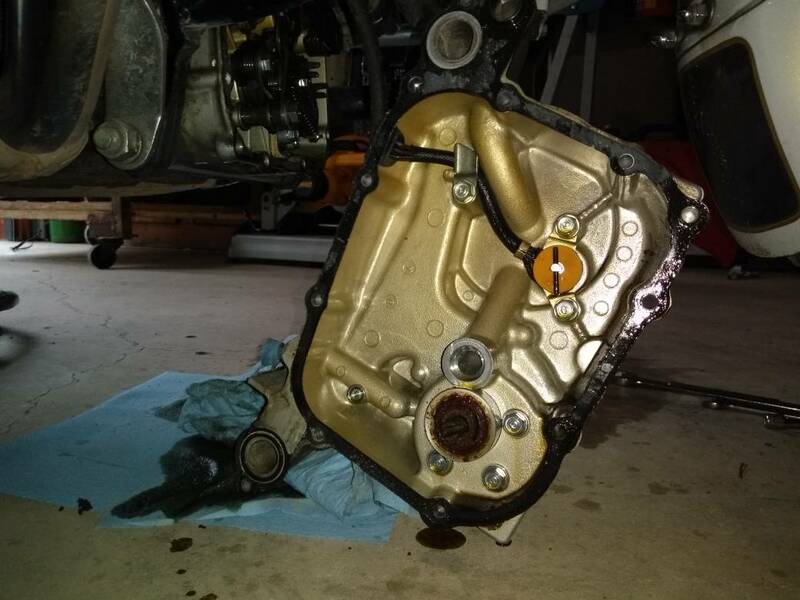 I did remove the water pump outlet neck and lower radiator hose, but that was all that my bike required to remove the main cover. Hopefully today the new pump (OE Honda) and all the seals go in without too much fuss and I can start riding the old gal! 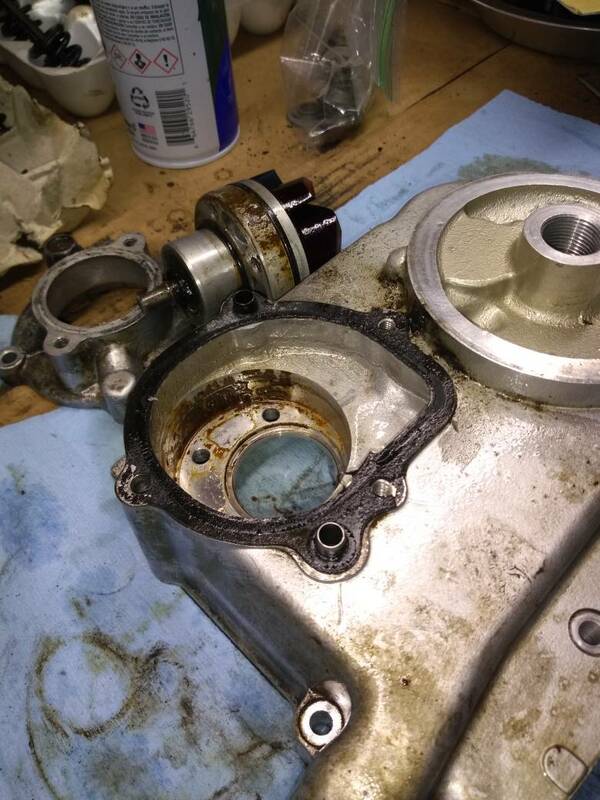 And we have confirmation that the K&L gasket kit is NOT complete, dangit. In the picture I have laid out all the original o-rings, and placed the replacements next to them. I have two extras that go who knows where, and am missing the two on the inside that go against the water pump and the one oil filter passage. So, looks like I get to order some more parts before the bike gets put back together. I knew I shouldn't have posted about it going back together without too much fuss. Oh well, life with old bikes. Yea, me too! This afternoon would have nice to go for a little ride. But hey, it gave me time to finish getting the tractor serviced, put my new USAF Vet plate on the bike, and discover that my buffer needed some service before I can use it to polish the slipstreamer windshield and put it on the bike. Maybe I can get the parts this week and have it ready by next weekend. MAYBE. Knock on wood.